This past week I found a rather interesting difference in the Stone/Hertz chumash Hebrew texts. The reference is Numbers 25:12. The word shalom is translated with a broken Vav in Hertz. Stone uses a full vav? Can we know which is correct and if so, how? I have wondered which Hebrew text is used (Leningrad, Vulgate, Aleppo)? I am an amateur when it comes to understanding all the nuances/syntax of the language. 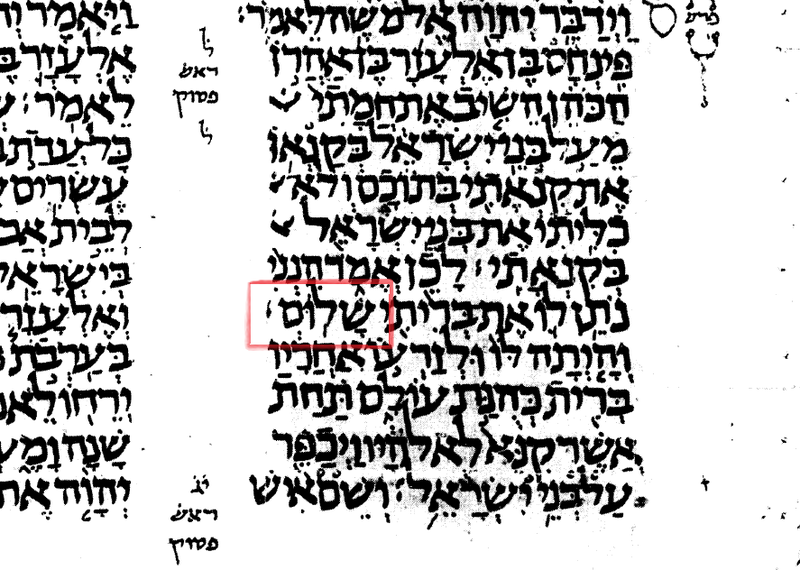 The Gemara (Kiddushin 66b) says that the vav is cut, and that is the way it is written in Ashkenazic Sifrei Torah (as opposed to Yemenite Sifrei Torah). That is probably why many Chumashim indicate it. Those Chumashim that omit it probably do so because it does not affect the literal meaning of the verse (and/or perhaps to be in accordance with the aforementioned mesorah that omits it). 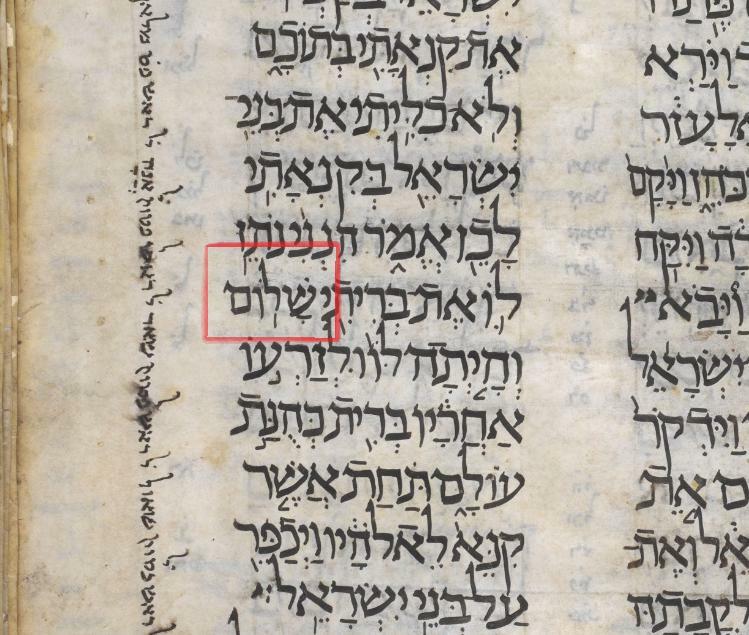 According to the footnotes of the Biblia Hebraica Stuttgartensia, the shortened vav appears in various medieval manuscripts to include the second edition of the Bomberg Rabbinic Bible (1524), which was edited by Jacob b. Ḥayyim of Tunis. However, earlier witnesses do not attest to the shortened vav. 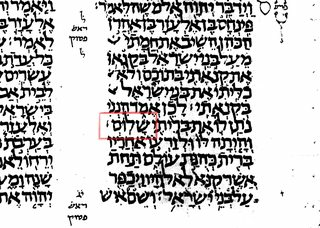 For example, the Masoretic Text according to the Codex Leningrad (c. 916) reflects no shortened vav as per the image below boxed in red. This text is one of the earliest surviving manuscript in Hebrew for this passage. Please click on the image below to enlarge. 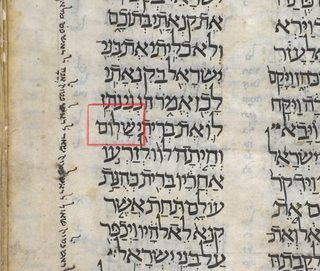 Also, the Masoretic Text according to the Oriental 4445 (c. 820-850) reflects no shortened vav as per the image below boxed in red. This text is one of the earliest surviving manuscript in Hebrew for this passage. Please click on the image below to enlarge. In summary, the Masoretic texts were meticulous to record variations or other notes deemed important, and there is no record of the shortened vav in at least two of the most reliable codices extant today. Finally, there are no Dead Sea Scrolls or variations in the Targumim that would otherwise provide more information. Not the answer you're looking for? Browse other questions tagged aleph-bet-letters pinchas .